Dreams of adventure and excitement on the high seas with only the elements between you and the horizon can be realised with yacht cruising. In an age where the concerns about the effects of our everyday activities on our environment are growing ever stronger, sailing is also an eco-friendly pursuit that will ease the conscience. Cruising is yacht racing’s more relaxed sibling, where the concerns are not for speed and competition but for voyaging and exploration - sampling different nations, climates and hemispheres or just cruising over to the next cove. With a typical yacht cruiser offering bed and board comforts, a means to sail round the globe whilst demanding sizable time, effort and financial investment in return, yacht cruising is less a hobby and more a way of life. A yacht cruise could be a leisurely sail around a busy bay or a long haul voyage across a lonely ocean. Cruising yachts have accommodation and cooking facilities on board and offer various degrees of comfort. A yacht will require a trained skipper with a crew varying in size according to the size of the ship. Long distance travel requires a wide range of skills including knowledge of navigation, meteorology and radio systems. As yacht cruisers are by far the most common yachting vessels in private use and whose luxury status attracts personalised modifications, there is a seemingly endless variety of models moored in marinas and coves across the globe. The length of a sailing yacht can vary greatly, from about 20 feet to well over 300 feet but the majority of privately owned vessels range from about 20 feet to 50 feet. Cruisers have a cruising speed of around 10 km/h and are capable of making continuous voyages of thousands of miles and so are equipped with large freshwater tanks. A familiar sight is the standard Bermudan-style sloop, which has a single fore-sail and a single mainsail with additional spinnaker sails for use downwind. The 8 to 12 metre (32 to 40 ft) range is particularly popular with families. A typical vessel would accommodate three double-berth cabins, a single large communal saloon and a toilet and shower room as well as ample storage. From ocean voyaging through coastal cruising and beach cruising, there are many different environments to experience the joys of sailboat cruising. Popular spots for yacht cruising include Auckland in New Zealand, the French Riviera, Fort Lauderdale in Florida, Hong Kong and closer to home, Cowes on the Isle of Wight and the west coast of Scotland. Yachting is commonly regarded as an expensive recreation due to the large cost associated with owning and maintaining your own vessel. However it is not necessary to break the bank in order to test the waters and get a first-hand experience of cruising. It is recommended that novices first learn the basic theory and principles at home by using reference books and the internet. Afterwards cheap first-hand experience can be earned by going to a local club and applying as a novice crew member for evening and weekend sailing. 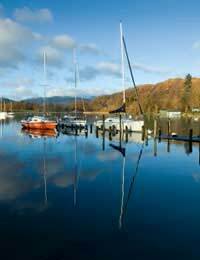 In the UK a system of certification is run by the Royal Yachting Association which includes a range of courses, both theoretical and practical, from covering the basic essentials needed to get out on the water to becoming a qualified skipper. Yacht cruising is activity that is ideally suited to the warm breezes and hot sun of the Mediterranean and the Caribbean and so it is not surprising that cruising is a popular recreation for holidaymakers looking for a bit of extra excitement on their trip. The three main types of holiday yacht charters are bareboat, flotilla and crewed. Without hired captain or crew, a bareboat charter offers total privacy and independence although requires a minimum of two trained sailors. The flotilla option offers the security of sailing with a group of yachts led by an experienced skipper but the independence of manning your own craft. A crewed charter means holidaymakers can lie back and stare at the sun whilst a trained captain takes the helm. Yacht cruising is not the preserve of the rich and famous, anyone can experience its unparalleled feelings of freedom and natural wonder but be prepared – it can easily take over your life.